Be the star of the show - and solve a crime! 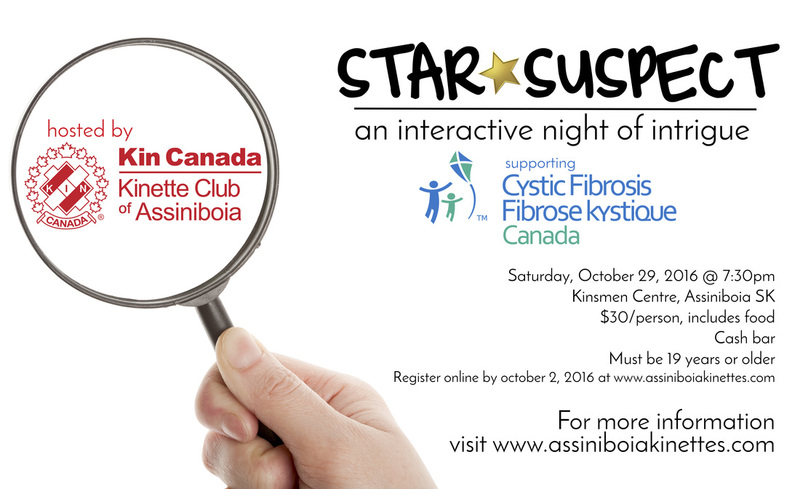 Join the Assiniboia Kinettes for an evening of fun and mystery. By using the clues provided and by talking to people, figure out who is the perpetrator of the crime! Deadline to register is October 2, 2016. ​Attendees will be contacted via email with information about their roles in the evening. Payments accepted using Interac e-transfer available through your financial institution.